Across the member states of the Council of Europe, both the blocking and removal of online material are frequently treated in a similar way. However, the existence or the lack of a legislative framework specifically targeted to the internet, and the specificities of national regulatory “models” translate in different practices and can be a challenge for the states concerned. The Council of Europe commissioned a comparative study from the Swiss Institute of Comparative Law in respect of filtering, blocking and take-down of illegal content on the internet in the 47 member states of the Organisation. This study describes and assesses the legal framework but also the relevant case-law and practice in the field. 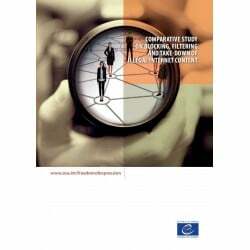 It comprises a comparative analysis – which is the subject of this publication – and country reports (available on the website: www.coe.int/freedomofexpression).